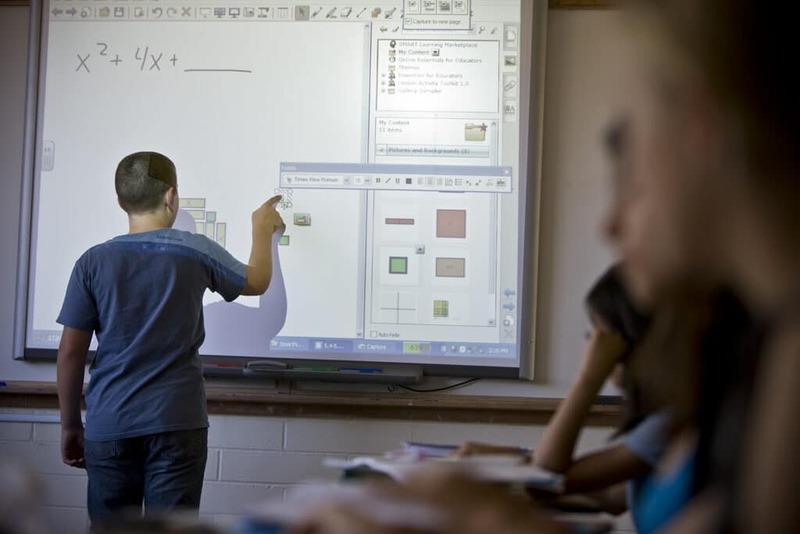 Connect and learn with top technology. 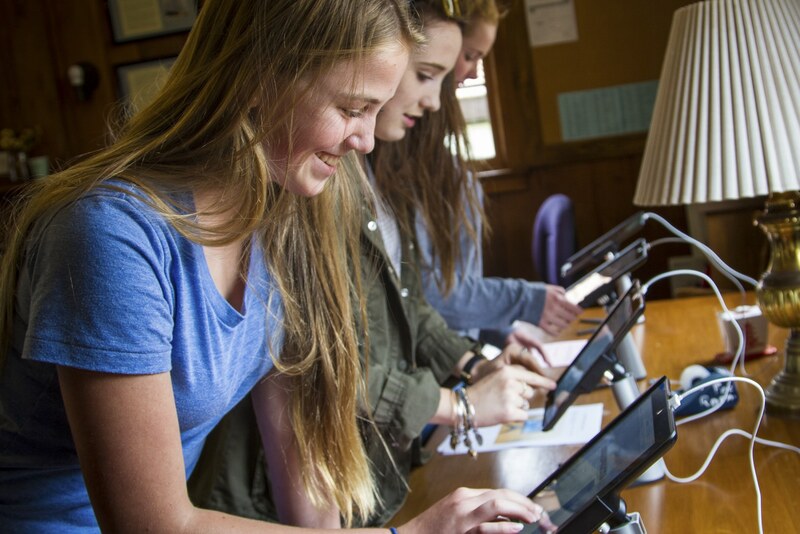 Technology is connective tissue at Cate – even though we deeply depend on our face-to-face interactions, technology provides useful tools for teaching and learning. Here, students and faculty have an enormous variety of systems at their disposal, allowing communication, collaboration, and advancing learning. 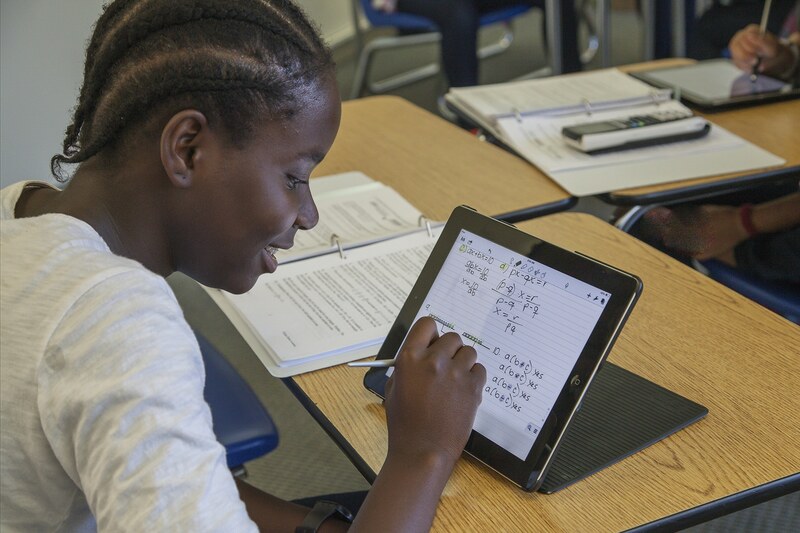 In math, you may use Desmos to graph your math problems, and get your assignments and schedule from our learning managment system. All dorms and classrooms have wireless internet as does the campus; and the list of other resources available is impressive: large flat panel TVs & LCD projectors with wireless connectivity, advanced recording studios, multiple technology/collaboration workspaces, and an online learning management system. Students and teachers innovate with technology, building wiki sites for English assignments, participating in online discussions outside of the classroom, creating spreadsheets to process and present physics data, track down sources for history research, etc. Technology also provides an additional means for you to be in touch with faculty when you can’t reach them in person. 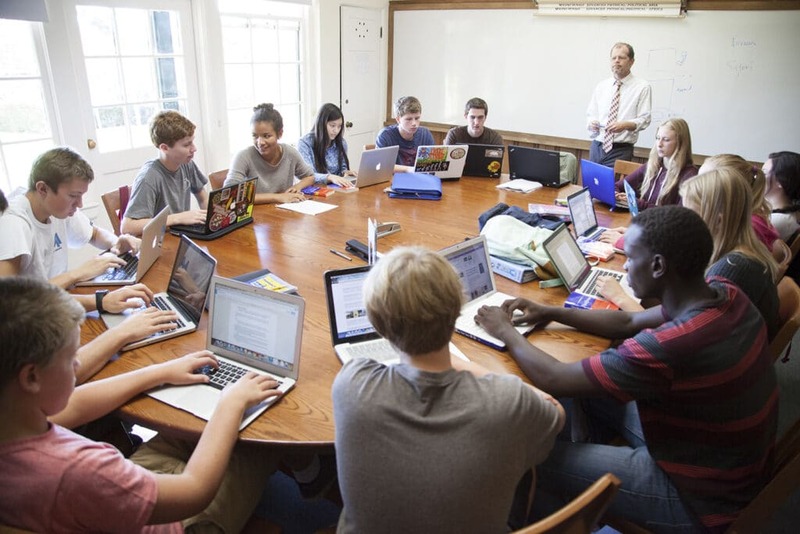 Both students and faculty use the campus technology to keep abreast of the day’s schedule, access course syllabi, share poetry, and participate in discussions on topics ranging from religion to the upcoming dining hall menu. The technology, which you can access away from campus, also serves as a community bulletin board and clearinghouse. Got a futon to sell? Want to reserve the Johnson Library for a poetry smackdown or rally classmates for the basketball game? Just log in.